If there is one thing I know home schoolers have...it's questions, and lots of them. If you think I'm talking about the kids, you're wrong. I'm talking about us, you and me - the grown ups! We have a gazillion questions when we are home educating, as we try to figure out what we are doing. 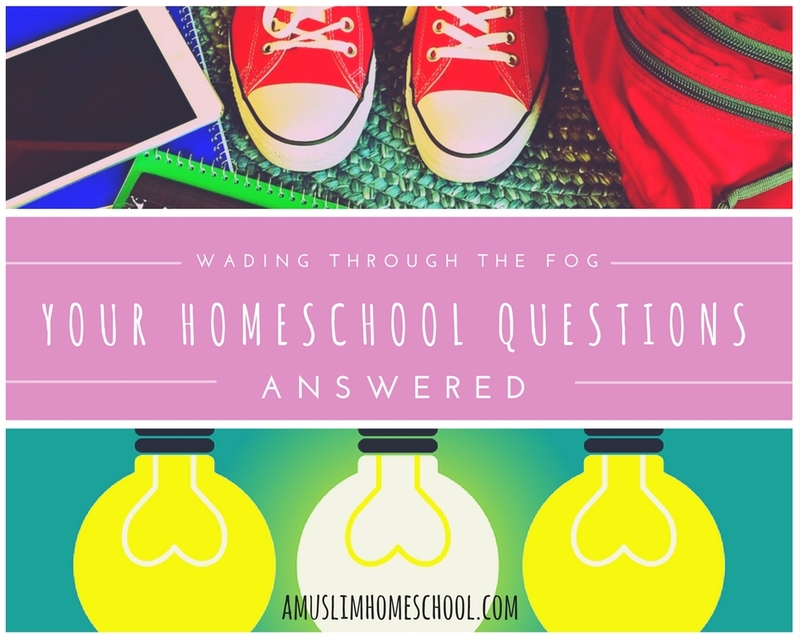 I look back to when I first jumped headfirst into my home school shoes; I wanted to ask anyone and everyone how they did things. I felt completely blindfolded and in the dark. I remember it seeming like I was searching for a needle in a haystack to find anyone who could, or who had the time, to answer me with the depth that I craved. All I really wanted was a little guidance and a little reassurance. To be honest with you, I still do. While I've always been open and said I am absolutely no veteran; after several years home educating my family, I have managed to pick up a few things and made my own fog filled journey somewhat clearer الحَمْد لله. 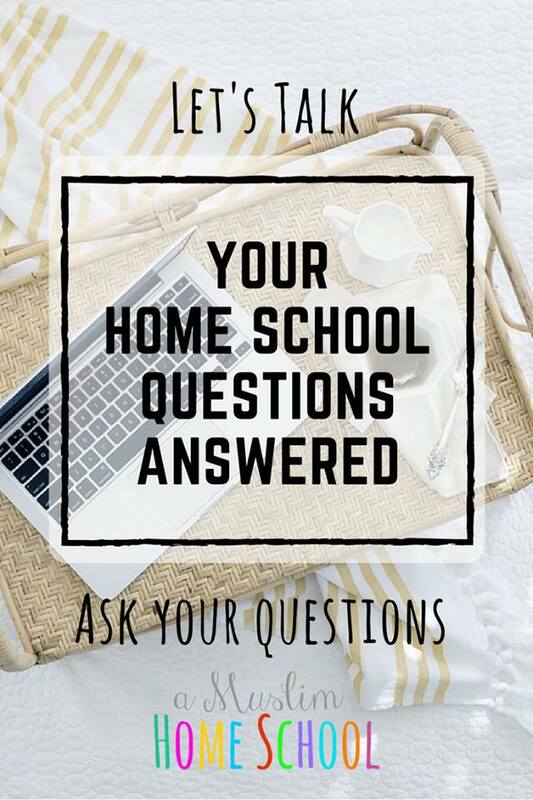 Many of the questions I receive via the blog and Facebook page, are actually very similar, but I don't have a great amount of time to answer each and every single one all the time, or with the depth of detail some answers require. I can't help with legal requirements whether in the UK or overseas. However in the UK, you will find all you need to know over on the Educating Otherwise website, including template deregistration letters if your child is currently in school, among a host of information regarding your rights and responsibilities as a home educator and dealing with your Local Authority. Please note, your question will be posted anonymously along with the answer, and while I can't promise to reply to every question, I will try to answer as many as possible إِنْ شَاءَ ٱللَٰه, and may move a question over to a subsequent month. The first round will be begin the opening week of October إِنْ شَاءَ ٱللَٰه, so whatever your question or query, you can send it in via our contact form now.